On March 13th, 2019, ULIS – VNU held a briefing on tasks of the first quarter in 2019. Dr. Do Tuan Minh, ULIS President chaired the meeting. The meeting was also attended by Assoc. Prof. Dr. Ngo Minh Thuy, ULIS Vice President, Chairman of the Trade Union, Secretary of the Youth Union, representatives of departments of the University. Delivering his speech at the briefing, President Do Tuan Minh highly appreciated the efforts of all the departments in completing their tasks in the first quarter of 2019 with outstanding achievements. 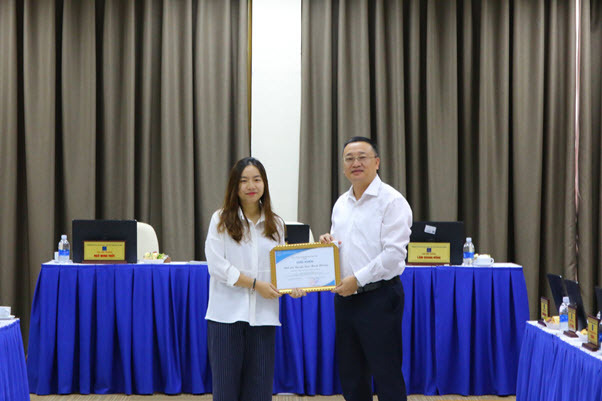 Also, President Do Tuan Minh presented certificates of merit to individuals and departments with outstanding achievements in the quarter, including Nguyen Ngoc Thanh Phuong (student of the Faculty of French Language and Culture), who won the Writing Competition on European Cultural Heritage 2018, Nguyen Thi Hai Yen (Specialist of the Center for Language Testing and Assessment, Former Deputy Head of the General Administration Office), who made positive contributions to the reform of administrative procedures at the university, the project team on complementary skills for the Fast-track Division of the Faculty of English Language Teacher Education (FELTE) for successfully organizing training courses to develop complementary skills for students through integrated learning activities of language skill courses. Reports on the performance in the first quarter of 2019 and the plan for the second quarter of 2019 and reports on the implementation of working and training regulations were delivered at the briefing. – Completed and submitted all products under the Northwest Project to its Chairman Board to carry out State-level acceptance procedures. – Effectively deployed student recruitment communication and advisory activities of the University. – Successfully organized many major events: 2019 Job Fair participated by 34 enterprises and 3734 ULIS students with 835 jobs introduced to students; 2018 Year-end Conference; ULIS Team-building Day (March 8th, 2019) with the participation of more than 600 lecturers and staff. – Expanded the series of experience sharing seminars on the integrated development of qualities, capabilities and complementary skills in teaching and learning specialized subjects. – Ensured good security, order and fire prevention; made sure ULIS officials and lecturers received good care during the 2019 Lunar New Year. – Personnel organization and school management affairs: Established the ULIS Psychology Center under the Politics & Students’ Affairs Office (Decision No. 246/QD-DHNN dated on February 1st, 2019); built and implemented regulations on training, self-training, improved qualification and professional competence of specialists in departments, centers and faculties. – Academic affairs: Completed the project of full-time university student recruitment to be submitted to VNU and the Ministry of Education and Training; tested and activated 30 subject websites; reviewed and recognized bachelor degrees in March; completed the research on and guided the units throughout university to implement the management model following OKRs; finished the course plan with versions for managements units and students of fast-track programs, applied from QH.2018 intake; implemented the enrollment and inauguration of part-time English program in partnership with Hoa Lu University and the School of Political Officers; successfully organized Vietnamese language and culture courses for students of Beijing Instutite of Technology, Ritsumeikan University and COE University. – Student Affairs: successfully organized ULIS Job Fair in 2019. 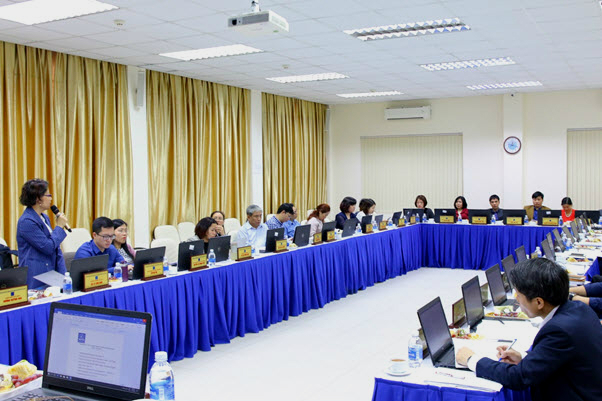 – Science and Technology Affairs: Successfully organized the meeting of Science and Training Council, published the first number of Journal of Foreign Studies (English). 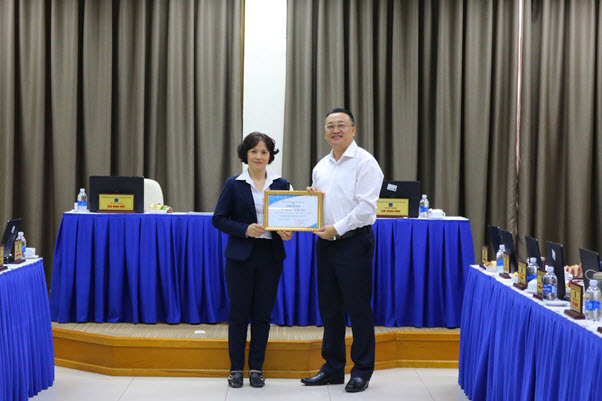 – Cooperation and Development Affairs: Continued implementing cooperation projects with provinces (14 high schools in Thanh Hoa and Lang Son); initiated collaboration projects with Cau Giay District; opened the first Korean course in 2019 for elite staff of Samsung Electronics Company. – Quality Assurance Affairs: Completed the collection of feedbacks of part-time and full-time students of the first semester of 2018-2019 school year. 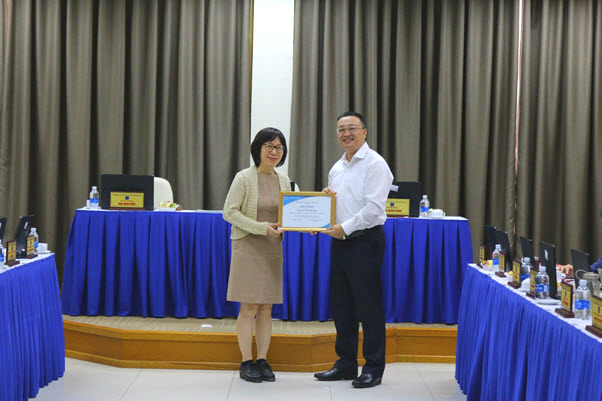 – Trade Union Affairs: Organized the first meeting of the Lunar New Year 2019 with staff of divisions, faculties, centers, offices, Faculty of Graduate Studies and Faculty of Language Education and Professional Development. – Ho Chi Minh Communist Youth Union Affairs: Successfully organized the Celebration of the Traditional Day of Students and Vietnam Students’ Association (January 9, 2019). – Implement the first phase of examining specialists of offices, departments and faculties, thereby advising on organizing training courses. – Organize successfully the first post-graduate entrance examination and FLSS (Foreign Languages Specialized School) entrance examination; continue to actively promote the 2019 university entrance exam, especially fast-track programs. – Prepare and organize the Student Day of Research – Innovation – Start-up and the National Scientific Seminar with topic “Studying and Teaching Foreign Languages, Languages and International studies in Vietnam”; Publish the Journal of Linguistic Research Vol. 2,3. – Finish and deploy teacher lounge in room 201B3. – Organize the 2019 periodic medical check-up for staff; advocate the movement of saving electricity and preserving clean and beautiful landscapes among staff. – Prepare and organize the final of Ms. and Mr. VNU 2019. After the report section, the attendees discussed the tasks and activities of all the departments during the second quarter of 2019 and innovation of the program regarding internship practice as well as promotion of the university admission. 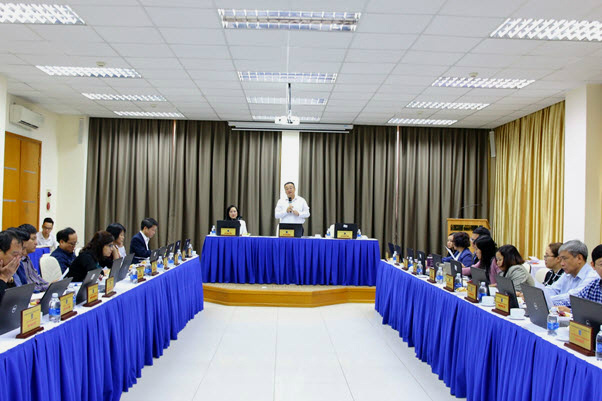 At the end of the briefing, President Do Tuan Minh requested all the departments to actively set out activities, strictly implement the working as well as training regulations, accomplish central tasks and plans in the second quarter of 2019. The President also gave key instructions on all department tasks.